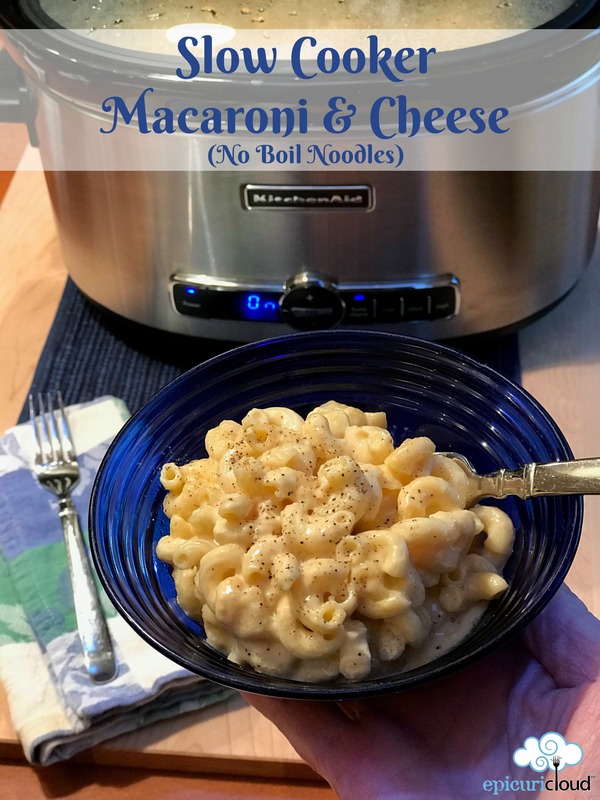 We love macaroni and cheese at our house – I usually make my own oven-baked version with a buttery panko bread crumb topping… But I was curious about these no-boil pasta, slow-cooker versions, I decided to give it a go with some of the ingredients I typically add to my traditional macaroni and cheese recipe. I was thrilled at how this dish turned out..and it was so stinking EASY! You literally put the ingredients in the slow cooker and stir them. 2 1/2 hours later…it was creamy and cheesy and not mushy at all! I could see using this recipe when you want a no-fuss, side dish everyone will love and you don’t need to boil noodles or heat up the oven. 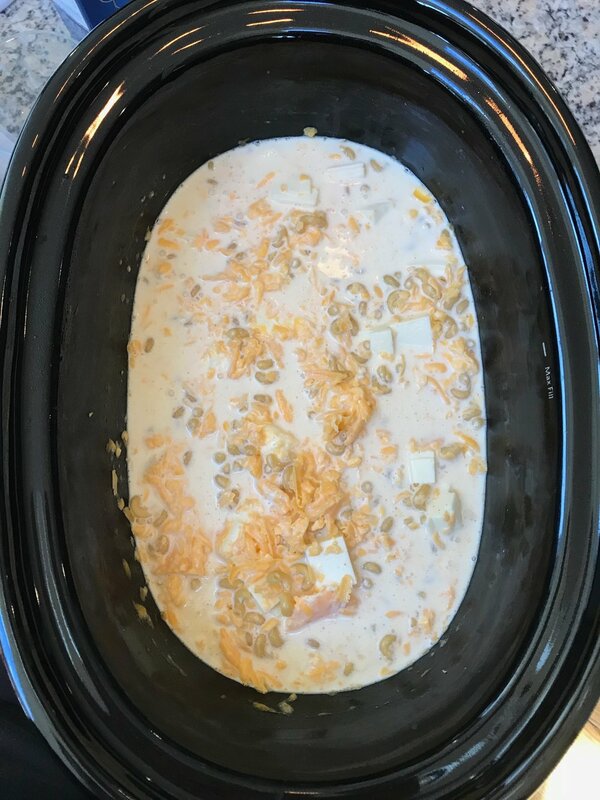 It’s not a super-long cooking slow cooker recipe, so I would say this is not the kind of dish you put on in the morning and come home to at the end of the day. It would be perfect, however, for those busy entertaining days when the oven is occupied with something large or when you just want a really easy homemade dish that everyone will love! Note: I used the KitchenAid 6-Quart Programmable Slow Cooker with the Lid Seal installed. I find this slow cooker holds a very consistent temperature and may not heat as quickly as those slow cookers that tend to overheat during the cook time. Various makes and models of slow cookers will vary in their temperatures and cook times. 2 1/2 hours later – YUM! I was thrilled at how wonderfully this turned out..and it was so stinking EASY! You literally put the ingredients in the slow cooker and stir them. 2 1/2 hours later...it was creamy and cheesy and not mushy at all! Spray 6-quart slow cooker cooking insert with non-stick cooking spray. Add all ingredients (reserve 1-cup milk for later) and stir to combine. Cook on low (covered) for about 2½ hours or until the pasta is tender and the sauce is thickened. I stirred the mixture about once every 45-minutes – not too much or you’ll lose heat from lifting the lid. 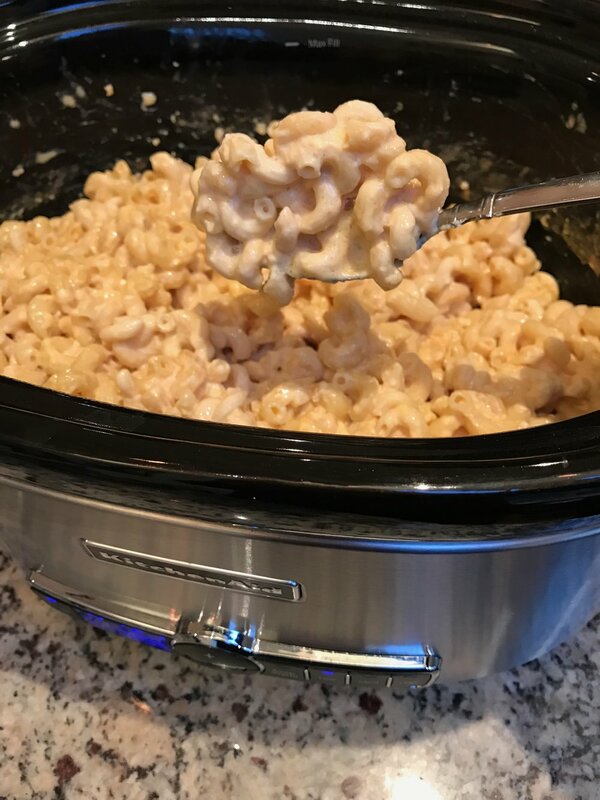 I like my macaroni and cheese to be a little on the “saucy” side, so I stirred in the extra cup of milk at toward the end (20 minutes to go) of the cooking time to loosen up the sauce. 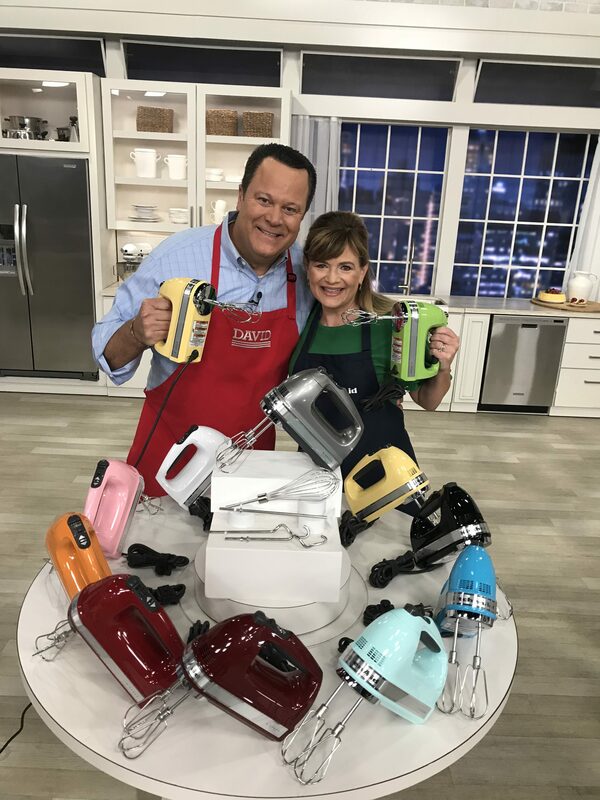 I used the KitchenAid 6-Quart Programmable Slow Cooker with the lid seal. Various makes and models of slow cookers will vary in their cooking times and temperatures.